For all newcomers, welcome! 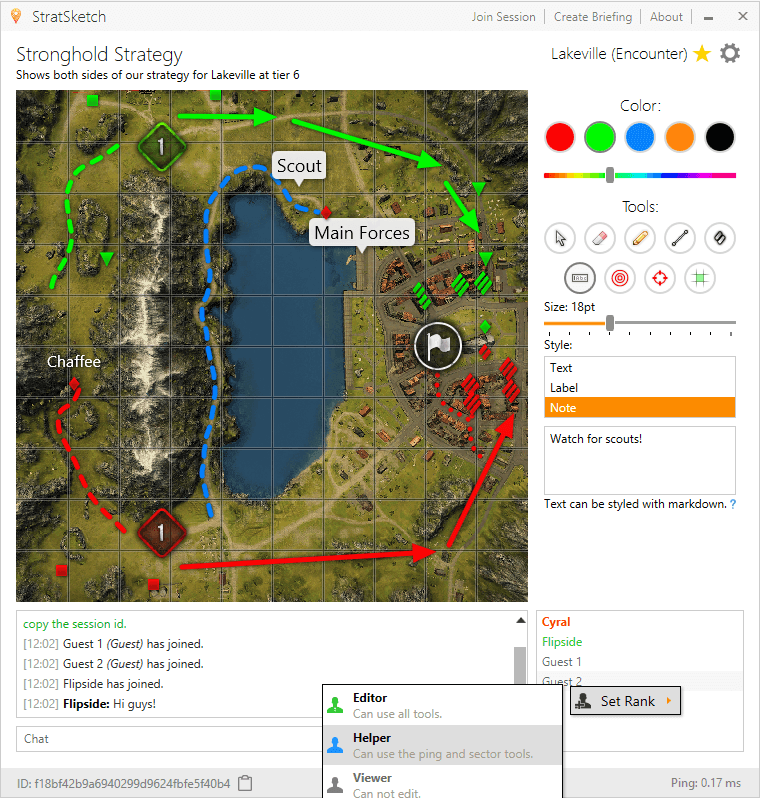 StratSketch is an application for the popular game, World of Tanks. It enables teams to communicate better by creating map strategies, in real time, using the tools provided. 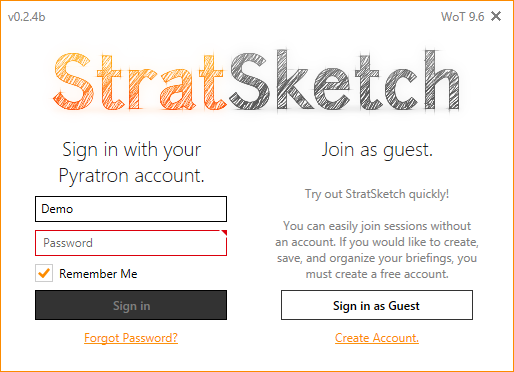 StratSketch was born as an internal tool when our clan was tired of other buggy and inconvenient tools, but will be completed and released to everyone! A chat system, supporting markdown formatting, has been completed. A status bar showing the current room ID and allowing it to be copied has been added. New maps their minimaps have been added. Spawn points have been implemented. The application now has a bit more “responsive” design, where it will dynamically resize to show different details depending on the screen resolution. Overall, the visual experience has been made more consistent, animations have been added, performance has increased greatly, and many smaller features have been added. User permission system, allowing the room owner to assign ranks to others so they can edit. That's it for now, stay tuned for further updates and the opening of our public beta! Hello everybody, and welcome to Pyratron! We are still developing our website and applications, but have released a partially completed version. Many of you may have found us through Zarknorth, a game Pugmatt and I worked on. Whether you are a new member or old, we hope you enjoy the applications and games we are going to make. That's it for now, some news on StratSketch coming shortly!